The words “equine fitness” hold different meanings for various horse owners and riders. A horse’s ideal fitness level depends on his workload and training schedule. All horses should generally be in average physical shape and maintain a median body condition score; however, many factors contribute to overall fitness. To understand the full picture of your horse’s fitness, you’ll need to look at elements beyond age, weight and soundness. Every horse has a purpose, whether it’s a performance, pleasure, trail, lesson or halter horse, and needs to have a certain level of physical fitness to perform the required tasks. But before outlining a fitness plan, you need to assess your horse’s current condition. Start by evaluating your horse’s body condition score and conducting a full physical examination to pinpoint your horse’s health status. Is he under- or overweight? Does he have any health concerns? 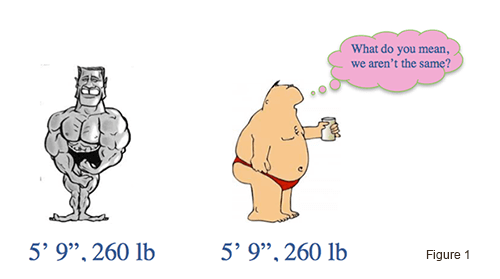 An obese horse with issues will not achieve the same level of fitness as a younger, healthy horse. This doesn’t mean that you can’t increase your horse’s fitness if he has any health concerns, but you’ll need to be mindful that you’re setting realistic goals. 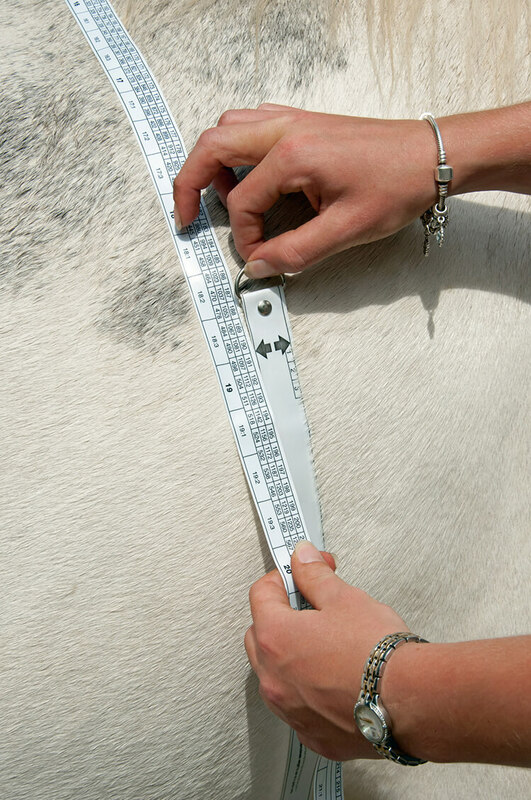 There are several methods of measuring your horse’s fitness. Tracking respiratory rates and heart rates are easy ways to measure your horse’s health, the results of which reflect directly on fitness. Record the rates at which your horse starts, mid-work values and how fast he recovers back to resting rates after a workout. You can determine your horse’s heart rate by counting his heartbeats, either by feeling for his pulse under his jaw or using a stethoscope. Count the heartbeats for 30 seconds, then double the total number of beats to ascertain your horse’s heart rate per minute. Most adult horses have a heart rate of 30 to 40 beats per minute (bpm) when at rest, but younger horses vary with foals at 70 to 120 bpm, yearlings at 45 to 60 bpm, and 2-year olds at 40 to 50 bpm. A resting heart rate above 80 bpm should be considered serious and a vet consulted immediately. Some horses will startle when their heart rates are first recorded, resulting in higher numbers that don’t accurately convey their resting heart rates. Practice for a few days and pick times when your horse is quietly resting in his stall. Do not check your horse’s heart rate shortly before feeding time; he can become agitated, therefore falsifying the numbers. Once you have recorded daily results for a week, take the average to get the mean heart rate. You’ll also need to determine your horse’s active heart rate as he works or immediately thereafter. You can check his heart rate manually after exercise or purchase a heart rate monitor for him to wear while he works. After recording his active heart rate, keep track of his recovery by checking his heart rate at set intervals following exercise. A horse who is just starting to get in shape will experience a spike in heart rate as he begins a serious workout but will settle after a few minutes of work. As your horse gets more fit, these spikes will become less and less extreme. Your horse’s mental state can affect his heart rate too; an excitable horse will spike faster and higher than a calm, steady horse. Heart rate correlates to physical intensity levels. For example, a racehorse who is running full-out will raise his heart rate higher than a horse engaged in a less intense, but sustained period of work (trotting in an arena for 30 minutes). If you have a trail horse, you can expect the heart rate to increase during galloping stretches and hill climbs. A normal, resting respiratory rate for an adult horse is between 8 to 15 breaths per minute; newborn foals are 60 to 80 breaths per minute and older foals are 20 to 40 breaths per minute. To take the respiratory rate, watch or feel your horse’s flank or nostrils and count the breaths for 30 seconds, then double for the total. If you’re counting breaths via the nostrils, be sure to count the inhale and exhale as one breath, not two. A horse can only breathe through his nose, so intake is somewhat limited by the size of his nostrils and larynx. Think about how a performance horse flares his nostrils to take in more air. As a horse exercises, his respiratory rate will increase. Rates as high as 180 breaths per minute have been recorded on race horses, but 60 to 100 is more common for regular exercise. A horse’s most effective method of breathing minimizes the muscular effort of respiration, which occurs during locomotor-respiratory coupling. Locomotor-respiratory coupling (LRC) is when respiration is driven by the propulsion associated with weight bearing on the forelimbs, weight of the abdominal organs pressing against the diaphragm and body position within the gait. LRC is most efficient at the canter and gallop, where a horse’s breathing will match his stride one-for-one. Inspiration (inhaling) occurs when the front legs push-off the ground and expiration (exhaling) when the front legs hit the ground. Think of the rocking motion of the canter and when the horse’s head and neck move up and down during the gait. Rapid breathing is not very efficient in horses because shallow breaths don’t clear out the lungs. Your horse’s heart and lungs work together to get oxygen to his muscles during exercise. Carbon dioxide is exchanged for oxygen in the lungs, then the heart pumps the newly oxygenated blood out to the body, including those hardworking muscles. Because the heart itself is a muscle, it can become stronger through exercise and beat more forcefully. The lungs, however, are limited in their improvement, making respiration a limiting factor in a horse’s fitness and endurance. With some practice, you can easily determine your horse’s heart and respiratory rates to evaluate his fitness level and what types of workloads he’s able to handle. A fit horse will better adjust to the challenges of rigorous work and longer or more frequent riding times.